Are you trying to log in using your unity account or an octane account? It says it cancelled, are you getting a popup while trying to log in? No popup showed. Just this 2 errors. Could you screenshot the Octane settings window for me that shows your account login type? Thank you for your reply. This is very odd behavior. 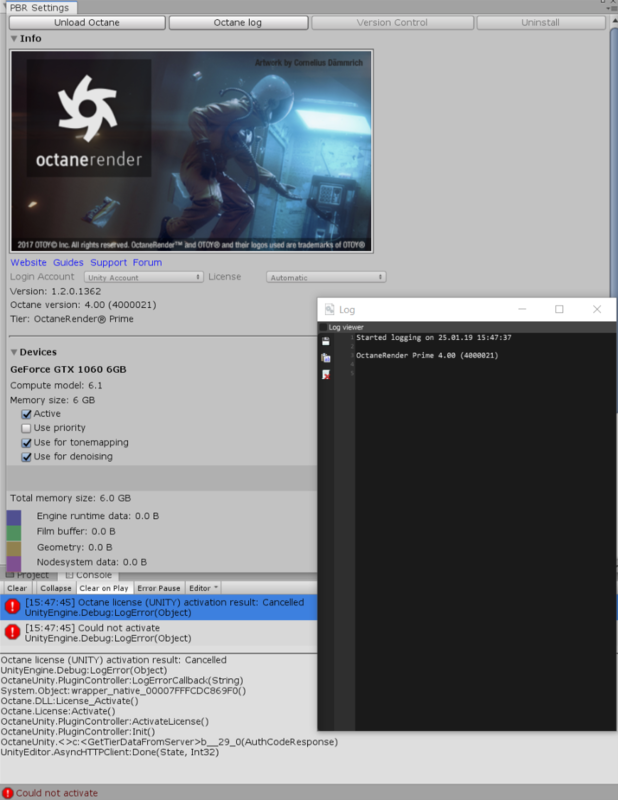 Could you confirm something for me, could you create a secondary unity account, log in with it, and then try to load octane? Could you PM me your unity account information? I have the exact same problem. What was the solution? .. I also tried to create new unity account, but didn't work.